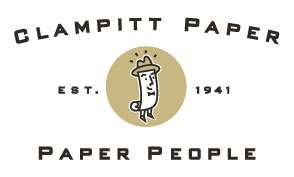 Clampitt Paper is a proud supporter of over 50 distribution partners throughout the world. These partnerships allow us to have a wide variety of product lines – ranging from big-name copy paper brands like Hammermill to everyday coated and uncoated printing papers from domestic and international mills. In the last five years, we have added Wide Format materials and Equipment to our portfolio of products. Check out our partners’ page to see a list of our mill partners. If you’re looking for a specific product, head over to shop.clampitt.com and search through our online catalog or create an account to download our price books and product catalogs.